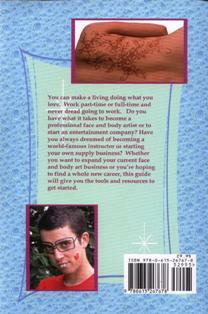 Erika Harrison, author of How to Start Your Own Henna Body Art Business and owner of Amerikan Body Art, has used her experience as a working body artist, a world renowned body art instructor, and a successful body art supply company owner to create a guide for anyone hoping to earn money as a face and body artist. This book will give you all of the basic business information and resources to get started. If you already have a face and body art business, it will help you take your business to the next level. Much of the business and marketing information will be useful for any type of small business.